Join us this Saturday for our Annual Holiday by the Bay Celebration! A little rain won't damper our holiday spirit! Holiday by the Bay Celebration! 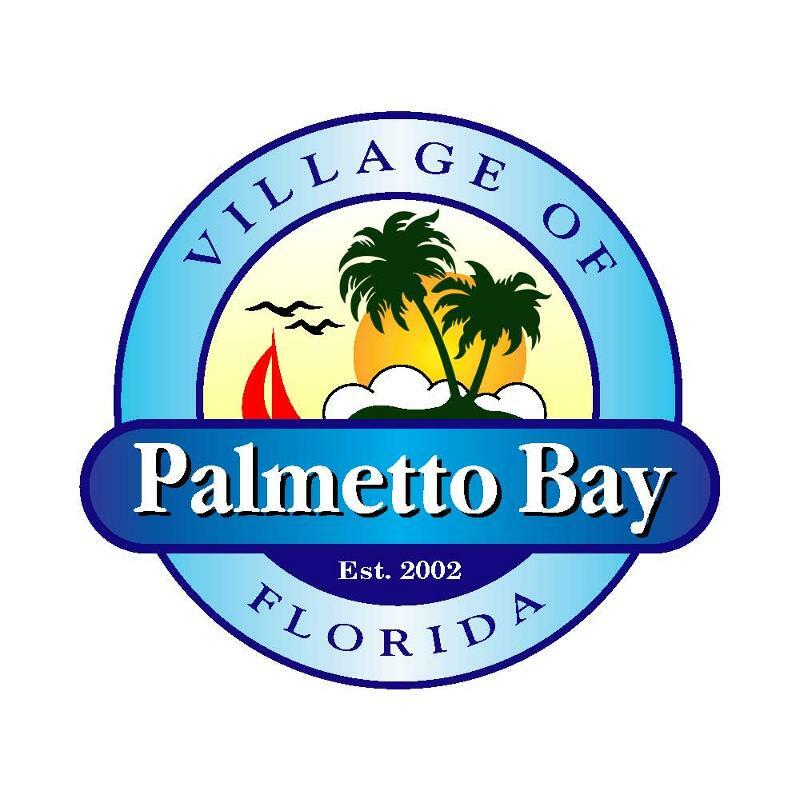 The magic of the holiday spirit in Palmetto Bay gets bigger and better every year as we host our annual Holiday by the Bay at Ludovici Park on Saturday, December 17th from 3-7pm . This event was originally scheduled for December 10th and had to be postponed due to poor weather conditions. 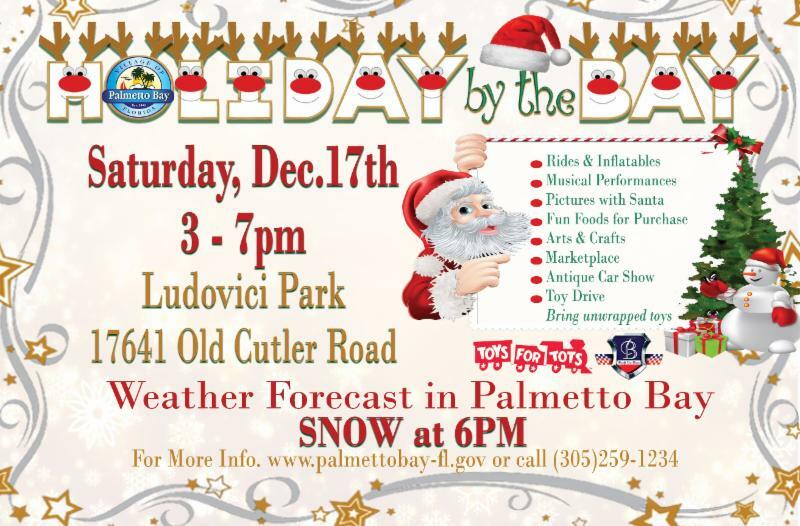 We are still forecasting a "snowstorm" that will hit Ludovici Park promptly at 6 pm and Santa will be waiting to take his picture with you! In keeping with the true spirit of the holidays, we are asking event goers to bring one or more unwrapped toys for the Toys for Tots collection drive organized by Benefit Car Show. See you there!